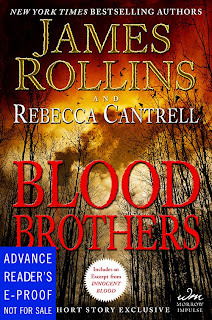 Blood Brothers is a short-story bridge between last year's blah The Blood Gospel and the forthcoming Innocent Blood, with James Rollins & Rebecca Cantrell providing some interesting back-story to The Order of the Sanguines. As short stories go, this is definitely much more of a traditional horror/thriller than The Blood Gospel itself was. Here we have a damaged family, complete with a Gothic sort of suicide, and a murder mystery spanning decades. 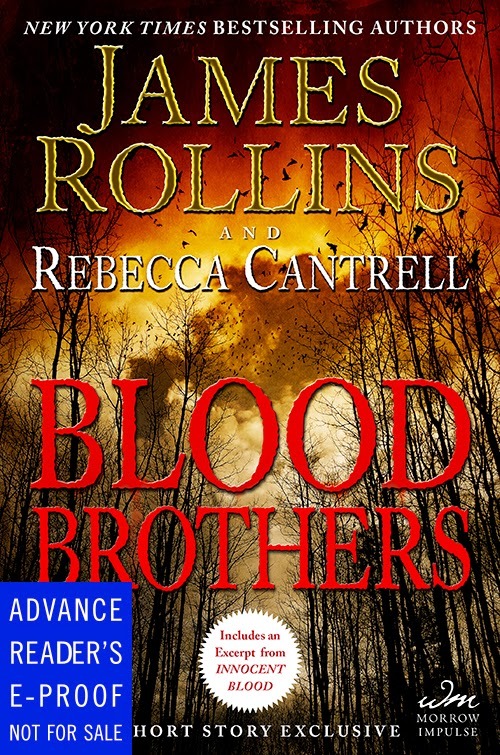 It's all tied together by a rare orchid that links both brothers and a series of brutal murders. The story really serves two purposes. First, it humanizes Christian to a certain degree, giving the reader a glimpse into his mortal past. At the same time, however, it lends ever greater significance to the horror of his actions. Through the eyes of his brother we see Christian as a young man, as a monster on the cusp of damnation/salvation, as the creature is he today. It is where those lines cross, however, that the real story lies, reminding us that no matter what role he chooses to play in the holy order, a monster still lies within his heart. While those who haven't read the first book in the series will certainly miss the significance of the decision that links the two timelines within the tale, the story does provide an interesting introduction to the series, and just may drive some new readers back to check out the entire series. I'll check out the first book before reading further then.